JoinSummitattheLIVETasteofHomeCookingShow - Summit Utilities Inc.
Join Summit at the LIVE Taste of Home Cooking Show! 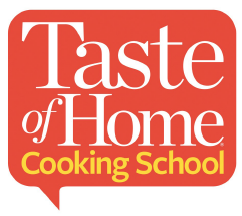 Come see the Culinary Specialists demonstrating step-by-step recipes for the season’s best dishes all while sharing favorite home cooking tips and tricks. Summit Natural Gas will be raffling off a mini iPad Air. You don’t want to miss out!